Do Your Employees Even Like You? This may sound like a weird question, but hear me out. We often hear about employee performance reviews and offer tips and advice on how workers can impress their managers. But do we ever think about the shoe being on the other foot? A friend recently told me about her supervisor’s poor employee reviews. Apparently, every year this company has a manger’s and/or supervisor’s team reviews its boss. Employees are encouraged to be open and honest and are assured the company will take all comments into consideration. And this wasn’t a false promise either. After receiving a large amount of poor reviews (especially in a particular area), the company “punished” the manager, not offering him an upcoming bonus and requiring the person to take effective communication and team management trainings all over again. It was clear to see that the workers were unhappy, but after this incident, the manager wasn’t smiling either. This may be even more the case because, according to my friend, the manager was shocked by his team’s comments in the reviews. The person thought his team actually like him. And while work isn’t all about making friends, the manager at least believed he had built a solid and respectful relationship, a bond with his team. But that wasn’t truly the case. I have a long list of things that my idiot boss has said or done that are just plain insane. I also have been keeping track of the long lunches and slip out the back door early episodes. I also have been tracking the incredibly stupid directives he has given me that are illogical, against standard operating policy and inefficient and wasteful. My coworkers and I are all miserable because our manager is, in a word, terrible. While I’d love to list her shortcomings (they are many), I’ll just say that in the seven months she has been here, she single-handedly ruined what used to be a fantastic, high-functioning group. After reading these and many more, I wondered if any of these people’s managers are even aware of how their employees feel about them? 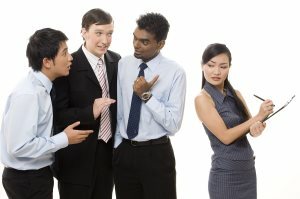 Managers and supervisors, do you really know whether or not your employees even like you? Or have any sort of gripe or issue with you and your management practices/habits? These are important questions to have answers for because they can be a crucial factor in saving you from being “punished,” reassigned, or worse, dismissed. Think about it: You could be sailing along in the office thinking everything is okay, while behind your back, your workers have accumulated all types of issues with you and your management style. And if you never ask your employees about how you’re doing or if they have any concerns, these issues will remain hidden until review time. And if a company sees that 90 percent of your staff has the same issue with you, trust, it will take the matter seriously. If you want to know how your employees feel about your leadership, ask them! Be open and let them know you’d really appreciate their honesty because this is an effort to improve yourself as their team leader. Don’t just listen to what your workers have to say or read their survey comments, talk to them about it! Especially if you see the majority focus on one particular area they dislike, go more in depth and discuss issues with your team so you can fully understand why they feel the way they do. Employees dislike when they leave comments on surveys but never receive any follow-up. After understanding your team’s concerns, be sure to work on making changes. Then, follow-up with your team after a few weeks and ask about your progress. This will help you discover if you’re improving upon their concerns and/or what still needs some work. It will also show your team that you really care about their feelings and concerns, which is sure to boost their approval (and reviews) of you as a manager.